Applications are invited from suitably qualified candidates for admission into Nigeria Tertiary institutions through the Unified Tertiary Matriculation Examination (UTME) for the 2015/2016 academic session which shall be on Computer Based Test (CBT) mode only. The registration period is Monday 15th September, 2014 to Thursday, 15th January, 2015 and the website closes on Monday, 19th January, 2015. Please note that a matriculated student in any university is not eligible to sit for the Unified Tertiary Matriculation Examination (UTME) except those who are transferring from foreign Universitites. A minimum of five (5) subjects passed at not more than two sittings with at lease two at Principal or Advanced level of the G.C.E and the others, at credit level of the SSCE/GCE, NTC/NBC. No subject shall be counted at both Ordinary and Advance levels. Two passes at the IJMB Advanced Level Examination or Cambridge moderated Schools of Basic Studies Terminal Examination or Institute of Baccalaureate from recognised institutions with SSCE/GCE, NTS/NBC credits equivalent in three other subjects (Subject to Unversity Requirements). i. Change of course(s) and/or institutions shall be allowed by the Board after the release of results. ii. The fee for change of course(s) and/or institutions is N2500 (Two thousand, Five Hundred) naira only. i. The 2015 CBT will commence on Saturday, 28th February to 14th March, 2015.
ii. The venue of the examination will be at the candidates’ chosen town during online registration. Registration fee for the 2015 Unified Tertiary Matriculation Examination is Four Thousand, Five Hundred Naira (4500). Candidates are also to pay 500 only to obtain the newly introduced textbook, “The Last Days at Forcados High School”. However, candidates will only be issued the book at the point of registration after showing evidence of payment. The Board has made arrangement to provide this book to avoid the challenge of availability and piracy as experienced in the last exercise. The Board has also introduced a regulated registration format where only our Computer Based Test (CBT) centers are authorised to register candidates. This is to avoid a situation where candidates are being exploited, prevent incidence of impersonation and other acts of malpractice. a. Syllabus for the examination in softcopy. b. Guidelines on admission (Brochure) in soft copy detailing list of Tertiary institutions and available programmes of study. Please note that the items listed above are at NO EXTRA cost to the candidates, and writing materials and calculator will be made available to candidates on the day of the examination. 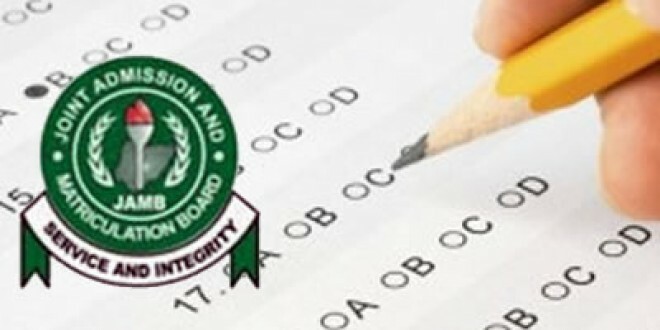 In line with the Board’s regulated registration exercise, only the accredited Computer Based Test (CBT) Centers will be allowed to register candidates. i. The registration fee, one paid is non-refundable. ii. Registration for the Unified Tertiary Matriculation Examination (UTME) is online -internet based and all applicants are advised t o register by themselves. All required information must be provided. iii. Applicants are advised to read and understand the instructions on how to complete the online registration before visiting any CBT center. v. Candidates who damage or lose their scratch cards before registration will have to purchase another scratch card. vi. Multiple entries are not allowed. Candidates who register more than once will have their entire results cancelled. vii. Candidates should note that their uploaded image or photograph will be embossed on their results slips and admission letters. viii. Candidates can assess the Board’s website for registration using the registration scratch card. Registration can be done on the website anytime with the stipulated registration period through any of the accredited and authorised CBT centers. ix. Candidates are to note that irrespective of their choice of course of study or method of testing , they will also be tested on a general book – “THE LAST DAYS AT FORCADOS HIGH SCHOOL” By A. H. MOHAMMED. Aduraleke Okusi liked this on Facebook.